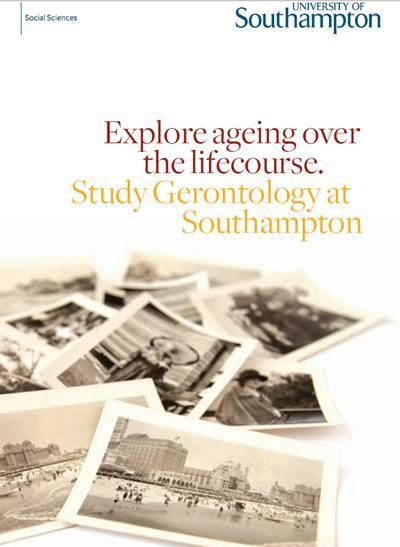 The Division of Gerontology is a world-leading location for research on a wide range of topics in the areas of ageing over the life course and older people. Applications from students or professionals with a relevant Masters degree are welcomed throughout the year. Research in this area focuses on the health, living arrangements, housing and financial resources of black and minority ethnic elders in Britain, and the construction and analysis of a large-scale survey database, the GHS Ethnicity Multi-year Database. It includes examining the experience of ageing in world cities, London, Paris, New York and Tokyo, investigating different dimensions of inequalities, including ethnicity, poverty and social deprivation. This area examines health, disability and access to healthcare services and social services; equity in health and social care, taking into account demand and supply factors in the investigation of inequalities in the utilisation of health and social care services; and equity in access to welfare services and how policy may serve to mitigate or perpetuate inequalities. The majority of the world's elderly population lives in developing countries. Research in this area examines the challenges raised by rapid ageing in settings where formal welfare provision and service infrastructure are rudimentary, poverty widespread and governance weak or in a state of flux. It investigates the interaction of informal and formal welfare provision, material insecurity, social policy and the role of older people as carers, for example in situations of widespread HIV/AIDS or migration. Current regions of specialisation include South East Asia, sub-saharan Africa, eastern Europe and central Asia. Research in this area examines the complex division of labour in old-age support provision between individuals and their families, wider kin, friends, neighbours and civil society. It investigates the evolution of networks over the life course, older people's contributions to networks, and the impact of migration and transnationalism on local support networks. The research has a strong interethnic and international comparative dimension. Research investigates how income (dis)advantage has accumulated across older people's lifetimes and the role that the welfare state has played in reducing or perpetuating such inequalities. The research uses a comparative framework, focusing on the UK, Germany, Sweden and the USA. It also looks at pensions among groups with interrupted work histories, such the unemployed and those with child or elder care responsibilities, and pension saving among youth in the UK. This research area looks at the complex relationship between health, caring and employment, some individuals 'caught in the middle', juggling paid work and caring responsibilities while still supporting their own children. It examines changes in the social and economic roles which people take up, across time and also between generations in the UK. Research also looks at the relationship between multiple role responsibilities and quality of life indicators, including health, material resources and engagement in social activities. Research in this area investigates the retirement prospects of future cohorts, looks at the social and economic circumstances of the ageing baby boomer generations in Britain, and examines the development and use of dynamic population simulation models to project the financial, health and social needs of the British population to 2050, and evaluates different policy scenarios. During my time here, I found the standard of teaching to be high, with the strong preference for research at Southampton enhancing this.